Many recommended mods add new features and fix some bugs. See Mods. Reports indicate this title is a poor port. The GOG.com version contains a 30 FPS limit, which can be removed. See High frame rate. No DLC was released for PC. Developers dropped support for the platform and never patched the game further. The German version of the game is heavily censored and will not work with mods and tools. German copies are also not available for Linux. Depending on the speed of your CPU, Saint's Row 2 can run at either double or triple the intended speed. Gentlemen of the Row offers bonus content with over a hundred new items, music, and customization options in-game, as well as tweaks and bug fixes. Tweaks many aspects of the user interface to be more intuitive. Ability to purchase clothes and ammo from any crib. Requires Gentlemen of the Row Super Mod. SuperUI settings won't save if changed from pause menu. PC Port of Saints Row 2 has a very poorly compressed audio with quality of 22050 Hz mono. High Quality Radio mod replaces PC sound banks with high quality sound banks from the Xbox 360 version (32000–44100 Hz stereo). Use Gentlemen of the Row Super Mod. GOG.com version is capped at 30 FPS; see High frame rate. Frame rate is capped at 100 FPS. 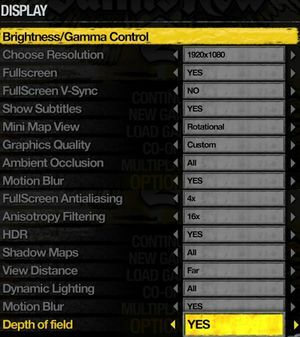 In-game option refers to HDR Rendering, not HDR output display. The GOG.com version has a forced 30 FPS cap to fix cutscene issues. Open Nvidia Inspector and click the button next to the Driver Version. Type Saints Row 2 in the search filter, go to the bottom and select Frame Rate Limiter. Click on the rightmost button to change it to its default setting, or select PS_FRAMERATE_LIMITER_DISABLED. Also GOG modded the executable to cap the framerate. You can disable it by downloading this patcher. Run it from game executable folder, click "Patch it", and get uncapped executable along with backup in case you need to go back. However, mouse can be used on the map to place waypoints. Only the 360 controller is officially supported. Z-Axis labelled as "Button 11" and "Button 12". Outputs to 5.1 speakers but is simply stereo spanned across surround speakers. Music begins when a new song starts. 12 GameSpy services have been shut down; see GameSpy for workarounds. 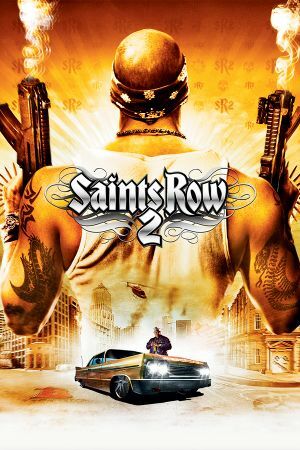 The network code for Saints Row 2 is extremely sensitive and, when coupled with the speed and timing issues of the game, can forcibly disconnect certain users when others join. The game's PC multiplayer is considered inherently broken with the exception of co-op. The Unofficial FAQ hosted on the game's Steam Users' Forum may be helpful in finding fixes for any issues you may be having. 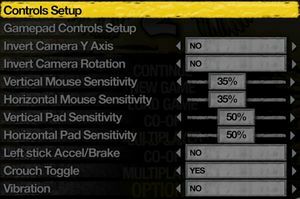 The settings.dat file is often the cause and can be found in your saves folder (%LOCALAPPDATA%\THQ\Saints Row 2\settings.dat). Add the following parameter on startup to force the game to start with default settings: defaults. Delete the existing settings.dat, and the game will recreate a fresh one the next time it's run. This file only contains video and audio settings like resolution, draw distance, volume, etc. Download a windowed 800x600 settings.dat here. Right-click on SR2_pc.exe and choose Properties. On the Compatibility tab, run the program in compatibility mode for Windows XP. Select "disable visual themes" and "disable desktop composition" options. Uncheck the Disable all enhancements option in the speaker properties (Control Panel > Sound > Speakers > Properties > Enhancements > Disable all). Some users have reported that changing the language fixes a bug where the game crashes when a loading screen reaches 60%. Verify integrity of the game cache on Steam. Temporarily disable a second monitor. Remove or disable all non-essential USB devices. Sometimes the game mistakenly identifies a usb device as a controller which can cause a crash. Crashing on save load is an indication of save corruption or as a result adding or removing mods. A vanilla game and savegames where mods are installed are not compatible. Save manually in a new slot after every mission so the previous save is accessible in the event that the current save corrupts. This is recommended even with the original vanilla game. Start a new game in windowed mode. Saints Row 2 has this issue with certain USB devices which are falsely identified as gamepads. Unplug all USB devices except your keyboard and mouse. For Saitek keyboards, temporarily disable this device in Device Manager. Certain Saitek keyboards install their own HID-Compliant Game Controller entry in Device Manager to enable extra functionality like keystroke macros. As a result of issues surrounding the original engine, some stuttering may be observed during gameplay due to streaming issues. Run the game on a faster HDD unit. This mission cannot be finished in co-op unless in the rare case when the mission initializes correctly at that point. Every CPU is different, and is influenced by many factors like overclocking, speed-step, etc, so there is no easy answer regarding a value to use. There is a stopwatch test to tweak the value however which will let you get as close as possible. Follow the instructions in the readme file. It is likely that the OSD (On Screen Display) for Powertools was accidentally activated which contains game info helpful to modders. This OSD can be toggled on and off with Scroll Lock. Saints Row 2 needs to have the following port open/forwarded for both the host and client: 4200 TCP and UDP. If it still doesn't work, host a non-password protected game. Navigate to Control Panel > Sounds and Audio Devices > Audio tab > "Advanced..." button in Sound playback section > Performance tab. Lower Hardware Acceleration to "Basic acceleration". Make sure the checkbox is ticked. Navigate to the audio manager. Change the "default format" from 24-bit, 44kHz (studio quality) to 16-bit, 44kHz (cd quality). Ensure both L and R analog channels play back. Use a tool such as Nvidia Inspector for GeForce cards or RadeonPro for Radeon cards to limit the game's frame rate to 60. If the problem persists, limit it to 59, 58 or 30 frames instead. "* The German release of Saints Row 2 PC is still only available for Windows operating systems due to issues with the original source code." "Disclaimer: Due to issues surrounding the original engine, some stuttering may be observed during gameplay. These types of streaming issues may be improved with faster HDD units." This page was last edited on 18 April 2019, at 03:03.